After a massive two-year expansion, iKitchen Inc., the firm operating the Filipino dining brand Kuya J Restaurant, is opening its business for franchising to accelerate growth. 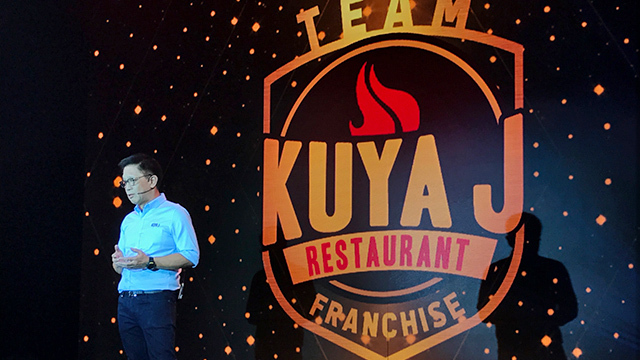 In a launch event on September 13, Kuya J unveiled its "innovative" franchising program that will allow partners to own a full-scale restaurant for as low as Php5 million of their own money. Through in-house financing, franchisees may avail of a long-term loan from the company to open a Kuya J restaurant of their own. iKitchen Inc. Chief Finance Officer Francis Reyes said franchisees may avail of a loan amounting to as much as 70 percent of the required start-up capital to operate their own restaurant. The loan is payable for five years with an interest rate of eight percent per annum. That is in line with what leading commercial banks offer in their small business loans. According to price comparison site MoneyMax.ph, annual interest rates offered by leading commercial banks for a loan to be paid in five years range from seven percent to as much as nine percent. According to the company’s sales officers, a standalone branch requires a minimum of Php10 million of capital to as much as Php20 million, with the budget varying depending on the store’s location and size. A Php10-million capital can already put up an 80 square-meter restaurant with a seating capacity of about 80 people. Most Kuya J restaurants today are of this size. iKitchen Inc. President Winglip Chang said the payback period can be as quick as two to three years. Chang said the company isn’t backed by any financial firm or bank as he credits all of its capital outlay for the franchising program to its internal funds. “We are a very large business so we have no problems in terms of funds,” he added. 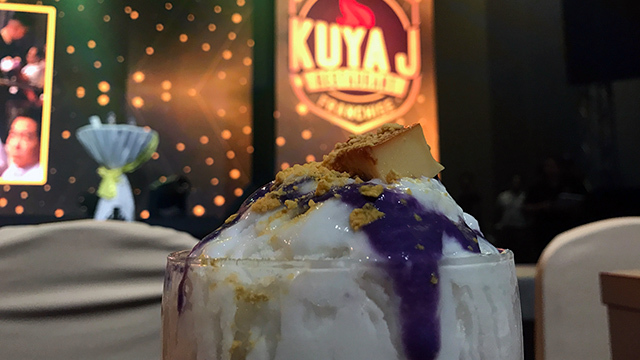 In a span of two years, the Kuya J restaurant brand opened almost one new store per week, growing its network to 105 branches nationwide as of September 2018. The company is now looking to maintain that expansion pace as it aims to open 100 more branches in the next two years. That will already put the brand at par with Max’s Restaurant, the flagship restaurant brand under listed firm Max’s Group Inc., which has 175 stores nationwide as of June 2018. Kuya J started as a hole-in-the-wall eatery in the province of Cebu in 2005. Chang acquired the business in 2015 and never stopped expanding the brand. But even before the acquisition, the Cebu-native has been a serial food entrepreneur, operating a number of restaurant brands, which include Isla Sugbu Seafood City, Tsay Cheng Chinese Cuisine and Majestic. The businessman also recently bagged the franchising rights to operate American fast food chain Popeyes in the Philippines.